NYC Health + Hospitals today announced expanded access to buprenorphine, a prescription drug to manage opioid addiction, through adult medicine clinics in 18 community and hospital-based ambulatory care centers. Located in all five boroughs, the 18 clinics will integrate the clinical management of buprenorphine into primary care, making availability easier and treatment more holistic. The new access to buprenorphine—a life-saving office-based opioid treatment—adds to existing availability through the public health system’s emergency departments, inpatient care, and specialty outpatient clinics and reflects its ongoing transformational efforts to expand community-based care. Opioid treatment at each clinic is led by a clinician who has undergone special training and licensing to authorize the prescription of buprenorphine. While other medication-assisted treatments are also available, buprenorphine is an important option for patients because it eliminates the need for a daily clinic visit, which is required of most patients receiving methadone. Additional benefits of buprenorphine are its low potential for abuse and negligible risk for overdose. “Medication Assisted Treatment (MAT) is the gold standard of harm reduction treatment, and for us to finally turn the tide on the opioid epidemic, we must continue to expand access to MAT and other treatment options. I applaud NYC Health + Hospitals for helping to lead the way in this effort by bringing buprenorphine to clinics across the five boroughs,” said Assemblymember Linda B. Rosenthal, Chair of the Assembly Committee on Alcoholism and Drug Abuse. “If New York City is going to make a serious commitment to combatting the opioid epidemic, we have to increase access to tools that can provide safe treatment options and help end addiction. I want to thank NYC Health + Hospitals for doing just that with their expansion of buprenorphine treatment to all Five Boroughs. Bringing buprenorphine directly to community clinics will help de-stigmatize this crisis and show those struggling that there is help available,” said Councilwoman Carlina Rivera, Chair of the Council’s Committee on Hospitals. While primary care clinicians at these 18 clinics who are authorized to prescribe buprenorphine now number 40—health system-wide, there are now 169 authorized prescribers—those numbers will continue to grow. The training required of clinicians to prescribe buprenorphine is ongoing. Provided by the New York City Department of Health and Mental Hygiene, upcoming sessions are scheduled at NYC Health + Hospitals/Harlem in October and at NYC Health + Hospitals/Jacobi in November, with dozens of clinicians registered at each. (The training is often called “x-waiver training” because upon completion, clinicians have an “x” added to their unique Drug Enforcement Agency identification number that indicates they are qualified to prescribe buprenorphine.) Dozens more clinicians have completed the training and are awaiting final federal approval to proceed. Training is also available to clinicians from OneCity Health’s community-based partners, which will help increase access to buprenorphine throughout New York City. All doctors who want to prescribe buprenorphine must undergo four hours of on-line work and four hours of in-person training, followed by the licensing process, which typically takes four to six weeks. Training is also available for nurse practitioners and physician assistants. At NYC Health + Hospitals, primary care providers who want to prescribe buprenorphine undergo additional training, learning more about integrating behavioral health into primary care practice. They benefit from 16 weeks of enhanced training that features the international Project ECHO model. Through, a video-conferencing learning collaborative, Project ECHO (Extension for Community Healthcare Outcomes) extends specialty education and support to primary care providers on targeted diseases or health conditions, expanding the scope of services available to patients in primary care and reducing barriers to care and treatment. Training on the prescription of buprenorphine is just the first application of Project ECHO at NYC Health + Hospitals, with its Office of Population Health planning other applications as the health system transforms primary care. When patients come to one of the primary care clinics, they can ask their primary care provider, a nurse, or a social worker about treatment options for opioid use. Screening for opioid use is also being introduced so a provider may also start the discussion. As in typical primary care, the provider takes a patient history and performs a physical exam. If, following the assessment, the patient is diagnosed with opioid use disorder, a discussion ensues to arrive at the most appropriate treatment plan for that patient. For patients who need a higher level of care, the patient may be referred to a specialty clinic, where more intensive care, often involving methadone, is available. For others, buprenorphine may be an option. The process is explained, one to three doses are prescribed, and the patient receives instruction on how to proceed. A follow-up appointment is scheduled. Buprenorphine is prescribed in a low maintenance dose. Each dose is dissolved under the tongue. Initially, patients need weekly doctor’s visits, and over time, based on their treatment progression, might only need to visit a clinic monthly or every few months. The initial goal is to increase the number of patients system-wide every year by 125. 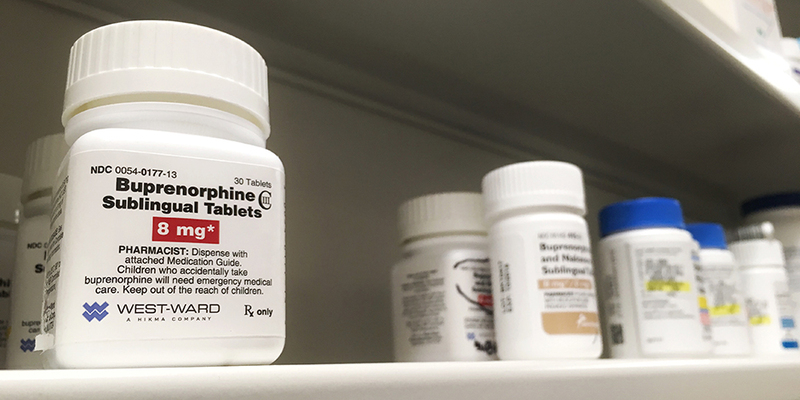 The new widespread availability of buprenorphine through primary care in adult medicine clinics is just the latest addition in the public health system’s armament of ways to connect patients with substance use disorder and life-saving treatment—through emergency department, inpatient, and outpatient specialty care. Four Opioid Treatment Programs have specialized focus on providing medication-assisted treatment for opioid use disorder, most often methadone or buprenorphine. The clinics at NYC Health + Hospitals/Bellevue, /Elmhurst, /Kings County, and /Metropolitan provide care collectively to 1,400 patients on average every month. Many patients with opioid use disorder receive care through one of 12 programs around the City that treat a broad range of substance use disorders. In addition to providing medication-assisted treatment, these programs offer support groups and individual counseling, as well as innovative care options such as acupuncture and vocational counseling and referrals to work opportunities. Because many patients with substance use disorder seek care at some point—for various reasons—through the emergency department, a number of interventions are being implemented this year. Patients will be screened for risky substance use in triage or the nursing assessment. The screening will more rapidly identify patients in need of intervention by one of the new Emergency Department Addiction Teams. Piloted at five public hospitals (NYC Health + Hospitals/Bellevue, /Harlem, /Lincoln, /Metropolitan, and /Woodhull), peer advocates and licensed social workers or counselors will connect with Emergency Department patients, including those with non-fatal opioid overdose, opioid intoxication, or a history of harmful opioid use, and link them to ongoing treatment. Peer advocates, who have lived experience with substance use disorder treatment, will use their personal stories and insights to connect with vulnerable patients at a time when they may be receptive to help, in an effort to link patients to care and resources. Currently, there are 10 peers serving in this role in three of the five hospital emergency department pilots, most having received specialized training through CUNY’s Queensborough and Bronx Community Colleges. The program will continue to be rolled out to all Health + Hospitals emergency departments. The Consult for Addiction Treatment and Care in Hospitals (CATCH) program will be rolled out at six hospitals by the end of 2019 to engage patients hospitalized on medicine or surgical floors who have been diagnosed with or are at risk for substance use disorder, regardless of the reason for their hospital stay. Three teams of three—typically, a clinician (physician or nurse practitioner), a social worker or a counselor, and a peer advocate—engage patients who may be more receptive to treatment because of their current health issues. The first program, launched in September at NYC Health + Hospitals/Lincoln, responded to over 60 consult requests from the medicine team in the first month. 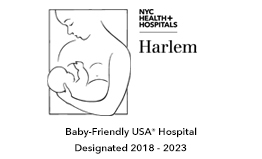 In addition to the teams at NYC Health + Hospitals/Lincoln, 24 specialized staff members have been hired at the five other hospitals where the program will be introduced, with the next to be launched at NYC Health + Hospitals/Bellevue in December.